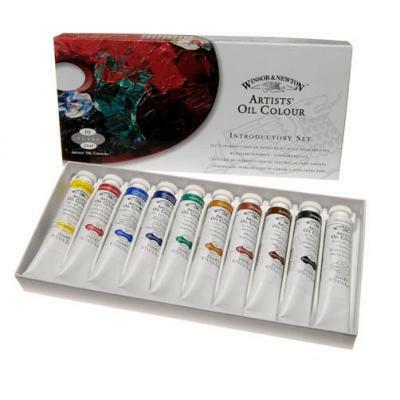 This introductory set of 10 x 21ml tubes of Artist's oil colour provides a basic range of colours to get started in oils. These excellent colours come in a set of 10 x 21ml tubes and have superb handling qualities and achieve the optimum tinting strength when reduced with white. Winsor and Newton's Oil colours are unmatched for purity, quality and reliability.